Family Health Guide: How Can Potassium Iodide Help Us To Counter the Effect of Radioactive Particles? How Can Potassium Iodide Help Us To Counter the Effect of Radioactive Particles? What does potassium iodide (KI) do? The effectiveness of KI as a specific blocker of thyroid radioiodine uptake is well established. When administered in the recommended dose, KI is effective in reducing the risk of thyroid cancer in individuals or populations at risk for inhalation or ingestion of radio iodines. KI floods the thyroid with non-radioactive iodine and prevents the uptake of the radioactive molecules, which are subsequently excreted in the urine. Can potassium iodide (KI) be used to protect against radiation from bombs other than Radioactive iodine? Potassium iodide (KI) works only to prevent the thyroid from uptaking radioactive iodine. It is not a general radioprotective agent. Who really needs to take potassium iodide (KI) after a nuclear radiation release? The need for potassium iodide is based on age, which primarily determines risk for radio iodine induced thyroid cancer. Those at highest risk are infants and children, as well as pregnant and nursing females, and the recommendation is to treat them at the lowest threshold (with respect to predicted radioactive dose to the thyroid).Anyone over age 18 and up to age 40 should be treated at a slightly higher threshold. Finally, anyone over 40 should be treated with KI only if the predicted exposure is high enough to destroy the thyroid and induce lifelong hypothyroidism(thyroid deficiency). What potassium iodide (KI) products are currently available? In the U.S., Iosat, ThyroSafe, and ThyroShield are FDA-approved KI products. 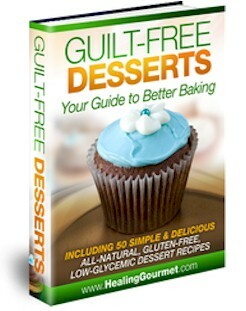 Please be aware that only the KI products approved by FDA may be legally marketed in the United States. [In Canada, the only product currently licensed by Health Canada is RadBlock (KI 65 mg tablets). What dosages of potassium iodide (KI) should be taken for specific exposure levels? How long should potassium iodide (KI) be taken? 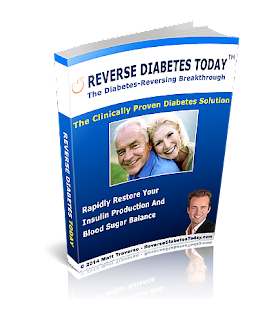 Since KI protects for approximately 24 hours, it should be dosed daily until the risk no longer exists. Priority with regard to evacuation and sheltering should be given to pregnant females and neonates because of the potential for KI to suppress thyroid function in the fetus and neonate. Unless other protective measures are not available, we do not recommend repeat dosing in pregnant females and neonates. Who should not take potassium iodide (KI) or have restricted use? Persons with known iodine sensitivity should avoid KI, as should individuals with dermatitis herpetiformis and hypocomplementemic vasculitis, extremely rare conditions associated with an increased risk of iodine hypersensitivity. Individuals with multinodular goiter, Graves' disease, and autoimmune thyroiditis should betreated with caution -- especially if dosing extends beyond a few days. What are the possible risks and side effects of taking potassium iodide (KI)? Thyroidal side effects of KI at recommended doses rarely occur in iodine-sufficient populations such as the U.S. As a rule, the risk of thyroidal side effects is related to dose and to the presence of underlying thyroid disease (e.g., goiter, thyroiditis, Graves'). FDA recommends adherence to the Guidance on Potassium Iodide asa Thyroid Blocking Agent in Radiation Emergencies http://www.fda.gov/downloads/Drugs/GuidanceComplianceRegulatoryInformation/Guidances/UCM080542.pdf) for intervention threshold and dose, though we recognize that the exigencies of any particular emergency situation may mandate deviations from those recommendations. With that in mind, it should be understood that as a general rule, the risks of KI are far outweighed by the benefits with regard to prevention of thyroid cancer in susceptible individuals. Should I be recommending potassium iodide(KI) for my patients who request it? As with any drug, you should understand the risks and benefits of KI before recommending it or prescribing it to patients. We recommend that physicians read our guidance for more information (see above). The FDA guidance discusses the rationale and methods of safe and effective use of KI in radiation emergencies (http://www.fda.gov/downloads/Drugs/GuidanceComplianceRegulatoryInformation/Guidances/UCM080542.pdf). It specifically addresses threshold predicted thyroid radioiodine exposure for intervention and dosing by age group. The recommendations for intervention are based oncategories of risk for thyroid cancer, with the young prioritized because of increased sensitivity to the carcinogenic effects of radioiodine. 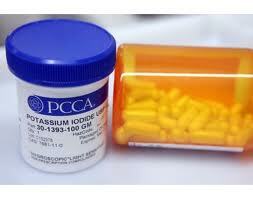 The above excerpts are reprinted from the FDA Q&A concerning the use of potassium iodide.